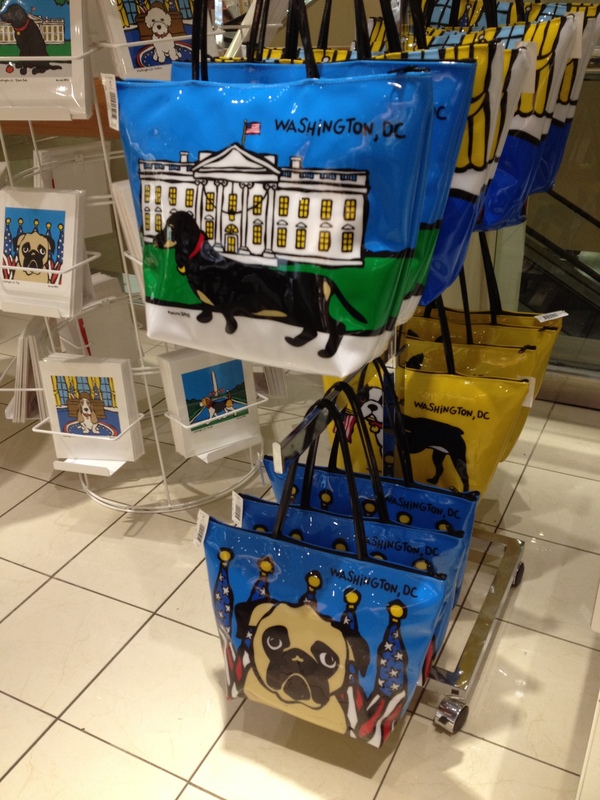 On a lunchtime excursion to the downtown Macy’s earlier this week, I was unsuccessful in my quest to find a skinny red patent leather belt, but I did spot a whole display of adorable dog-adorned accessories and home decor! 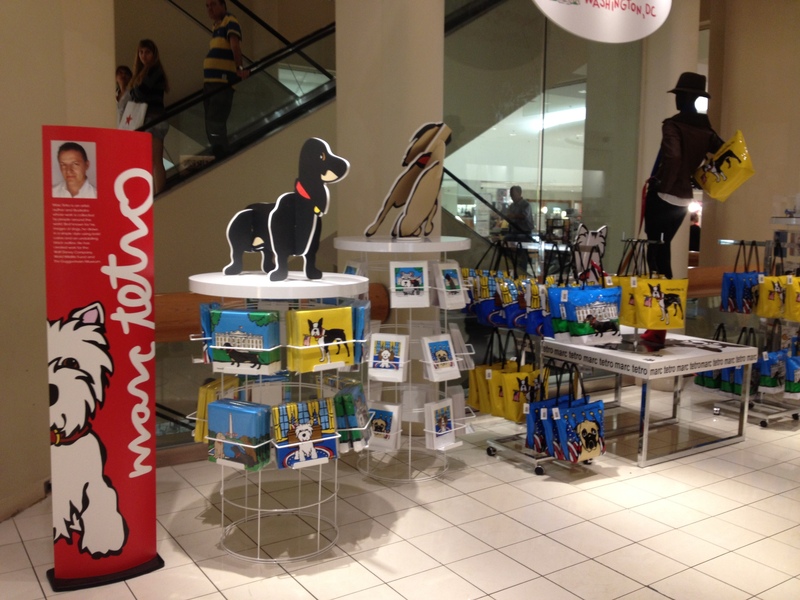 The tote bags, wristlets, prints, pop-out table toppers and more feature drawings by artist Marc Tetro. According to his website, Tetro is best known for his images of dogs drawn in a simple style using bold colors with an undulating black outline. 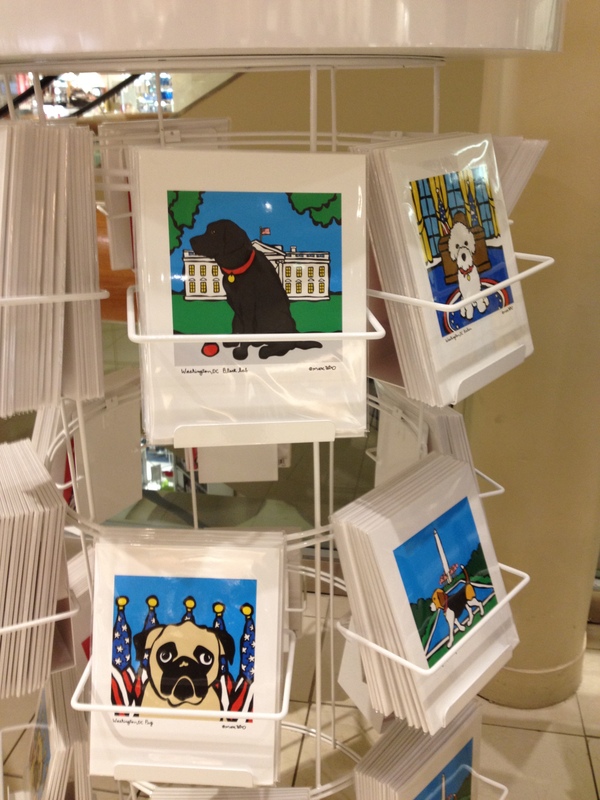 They catch your eye not only for their bright primary colors, but the dogs are set against D.C. backdrops such as the White House and the oval office, along with patriotic flags. 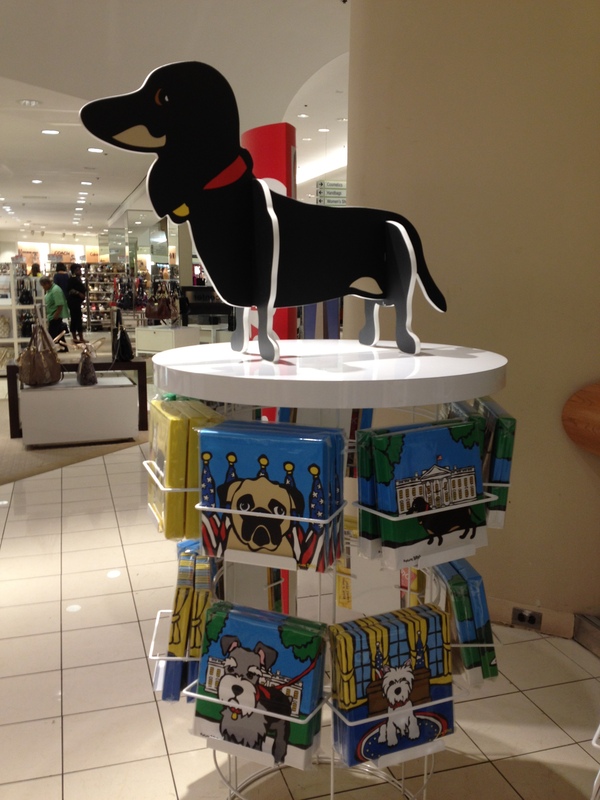 There are Labradors, Pugs, Westies, Beagles, Bichons, Boston Terriers and more breeds depicted. Not only are the items cute and colorful, they’re also reasonably priced. Framable prints are $16, tote bags are $30 and canvas prints are $45. 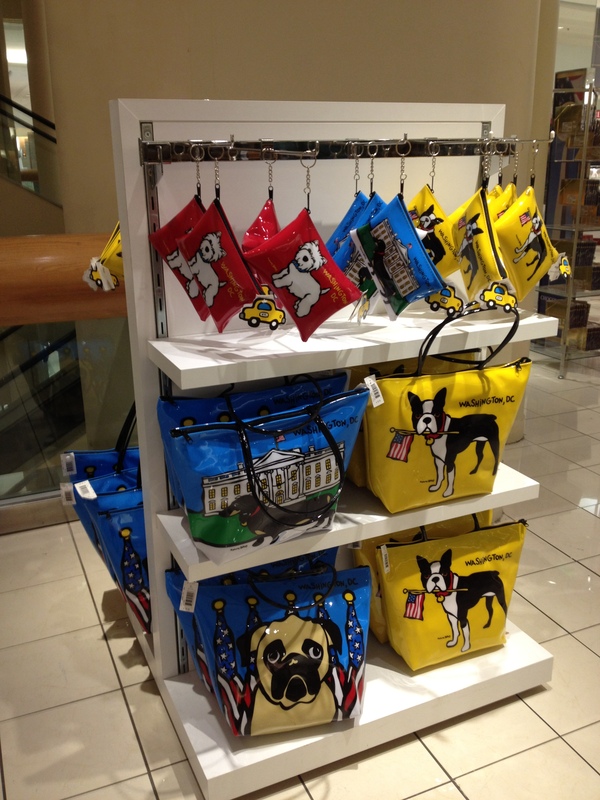 The display is set up right next to the escalators in the center of the store, you can’t miss it. It seems the stuff isn’t available on their website, though, so you’ll have to make the trip downtown, or call one of their suburban stores to see if they have the collection!